Black and white on this one and I don’t even know why! Black and White is for me too. Simply because it has this camouflage effect. 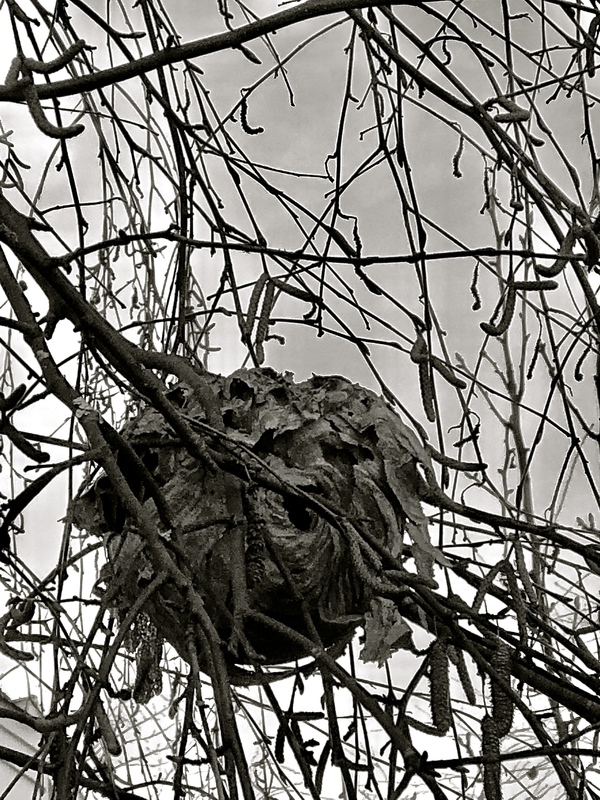 When I first saw the bees nest I thought it was old leaves. B&W gets another vote here. Wow! that thing looks huuuuge!